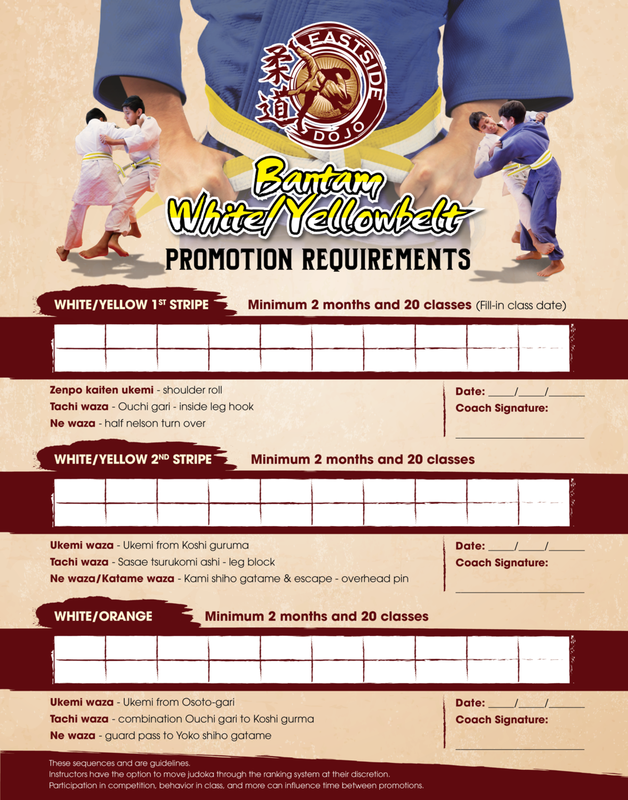 In order to be promoted to a white-yellow belt, focus is on the skills needed to practice judo safely and the basic throws that are foundational to more advanced judo techniques. 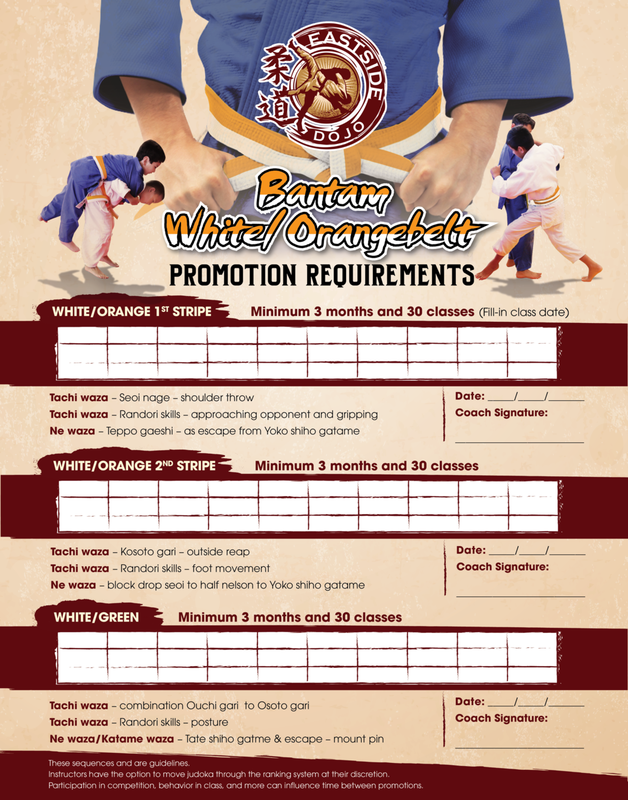 In order to be promoted to a white-orange belt, students build on their prior foundations of safety and fun, to explore new slightly more challenging techniques. In order to progress fully as a white-green belt, students must have mastered foundational throws, reaps and trips and can begin to apply them dynamically in sparring.